A dump truck overturned Tuesday morning, blocking traffic along a Montgomery County road. 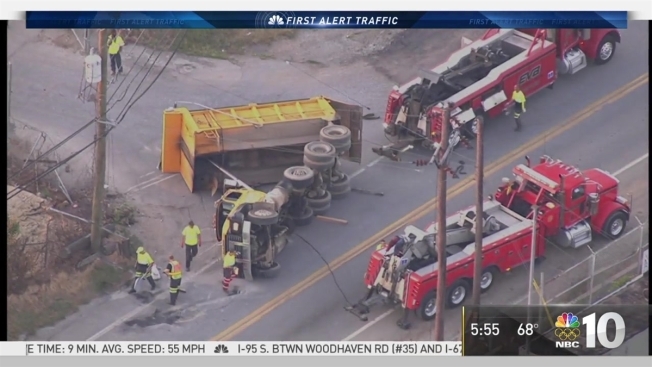 The orange dump truck flipped onto its side along Conshohocken Road between Ridge Pike and W Elm Street in Plymouth Township, Pennsylvania around 5 a.m.
After a little more than an hour, crews righted the truck. They said the crash could tie up the roadway through the morning commute so try to avoid the area and use alternate routes.